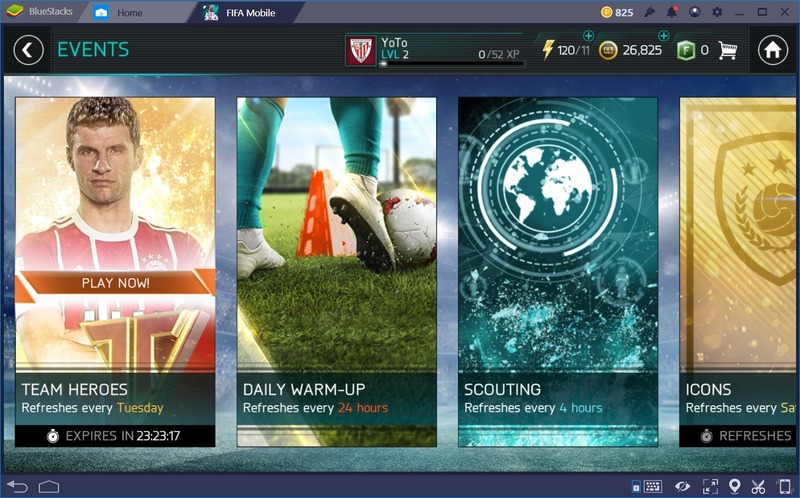 FIFA Mobile became as much of a hit as its counterparts on consoles since the addition of Ultimate Team mode, which allowed players to build and train their dream team through the collecting and use of cards. By expanding upon this system, the game managed to create its own identity and distinguish itself from its brothers on consoles. 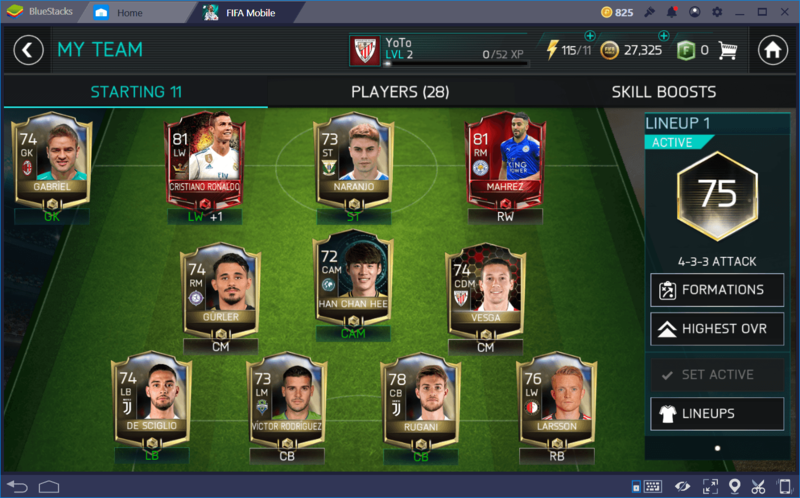 Nowadays, FIFA Mobile is played by millions around the world, as it takes events from leagues and events from real life, and integrates them into the game, so that players feel like they’re managing a team in a world where there are consequences to their actions, as well as important choices to be made on a daily basis. Speaking of which, with the 2018 Russia World Cup just around the corner, the game is enjoying its largest player base yet. Are you interested in becoming the best manager for your team, and watch it rise through the ranks of the competition? In this guide, you’ll find all you need to achieve this purpose. Read on! In direct contrast to its console counterparts, this game does not have yearly releases. 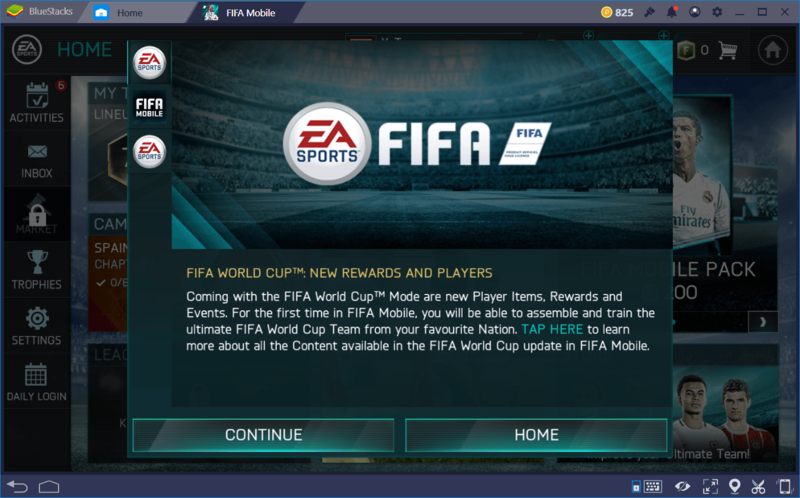 The mobile version of what is arguably the most popular soccer franchise in the world has managed to break off from its predecessors by, among other things, offering significant seasonal updates to their modes and events, instead of relying on new releases to do so. In this sense, the 17-18 season has reimagined the game, and provided players, both new as well as veterans, with the opportunity of assembling their dream and getting a shot at becoming world best. 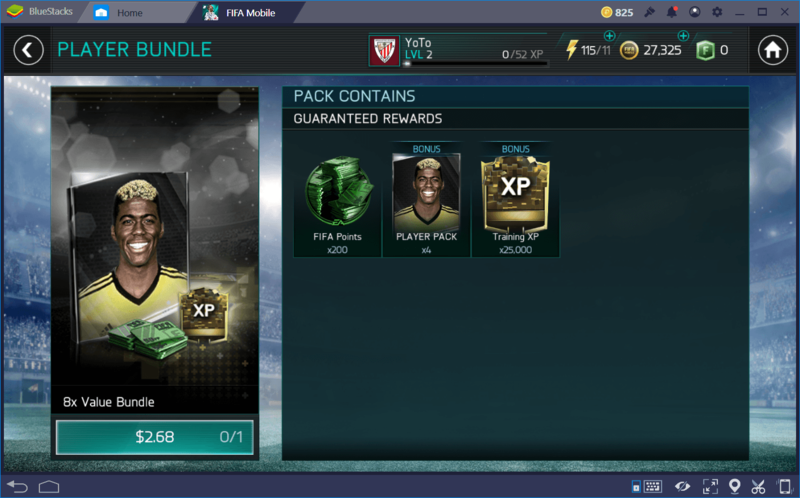 Right near the beginning, after completing the training camp, you will receive your very own Cristiano Ronaldo card, which you can use to bolster your team’s OVR and increase your odds of getting favorable plays in every Attack Mode match. In this season, you may train your favorite players to increase their OVR, as well as their attributes through the use of special skill boosts, or by burning unused player cards. Through intense training, you may elevate any card to superstar status, which will definitely come in handy for granting you additional attack opportunities in Attack Mode. The great thing about this game is that it allows to create your team of personal favorite players and train them to become the very best in the world. Unlike real life, the players in FIFA Mobile are not limited by their physical bodies; their stats are just numbers that can be pumped up to the max. Want to beat Messi or Cristiano Ronaldo with a ragtag team of literal nobodies just for laughs? This game lets you do that. Furthermore, the Vs Attack Mode is a great take on the classic football formula, in which matches between two opponents are played in an asynchronous manner, in a turn-based fashion. Each match is divided in four turns per player, and the scenarios of each turn are determined by several conditions, such as the team’s OVR. If your team is good, and your OVR high, then it’s more likely that you’ll get more attack opportunities. Conversely, if your OVR is lower than your opponent’s, then it’s likely that you’ll get mostly counterattack opportunities in which you have to defend your goal in order to earn a chance to counterattack and score. Each match takes no longer than a couple of minutes, as they essentially take out the boring parts, and present to the player with specific scenarios such as defend, attack, free kicks, corner kicks, and penalty shots, among others. The game can even play itself if you don’t interact with the controls when it’s your turn. Granted, the computer player will not likely play at your level, but it’s great for when something comes up and you can’t pay attention to the game at that moment. Furthermore, this game is highly-influenced by real-world events going on in the football industry. Players can stay connected to real-world football as matches take place across the world. This allows players to strengthen their team in the downtime, and then take on unique and tough challenges where they can earn amazing prizes. Finally, players are allowed to participate in leagues, which is a social experience in itself. Through these leagues, players can join forces with others and compete for glory alongside friends, family, and other gamers from around the world. Every season, players are presented with scoreboard and standings lists that show the best of the best, so that they can strive to reach their levels and have their own name plastered on one of these lists. Campaign: Where the main “story” content unfolds. 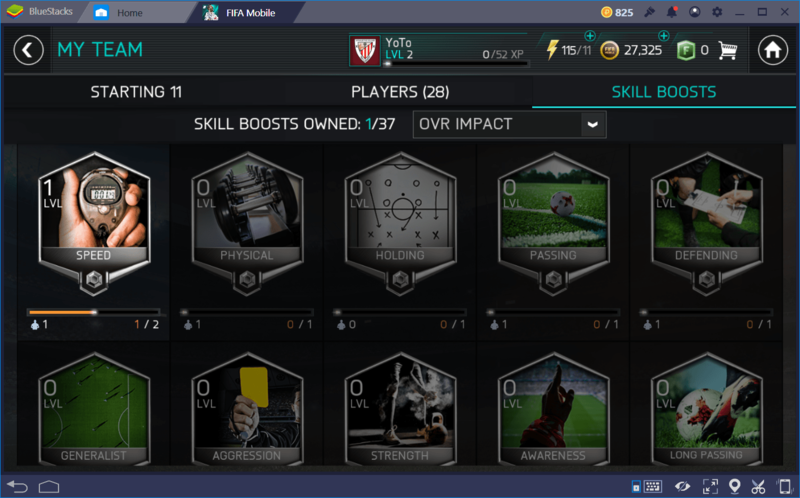 This is the single-player experience of FIFA Mobile, where you can progress through chapter after chapter full of football challenges, and obtain awesome prizes such as new players, skill boosts, and more. Furthermore, by completing each campaign, you essentially earn a head start for the new season, such when completing Pre-Season Plans for Hazard, Pogba, Aurier, Mascherano and De Rossi in the previous season. Training: As its name implies, this is where you’ll be supercharging your favorite players. By using skill boosts, XP packs, or unused player cards, you can give experience to any of your players. Once they receive enough XP, they will level up and receive a boost to their OVR. If using skill boosts, they will also obtain an increase in their attributes. Events: The classic Daily Warm-up and scouting make a return this time around. Other types of events include those linked to real-world situations, such as the upcoming World Cup. 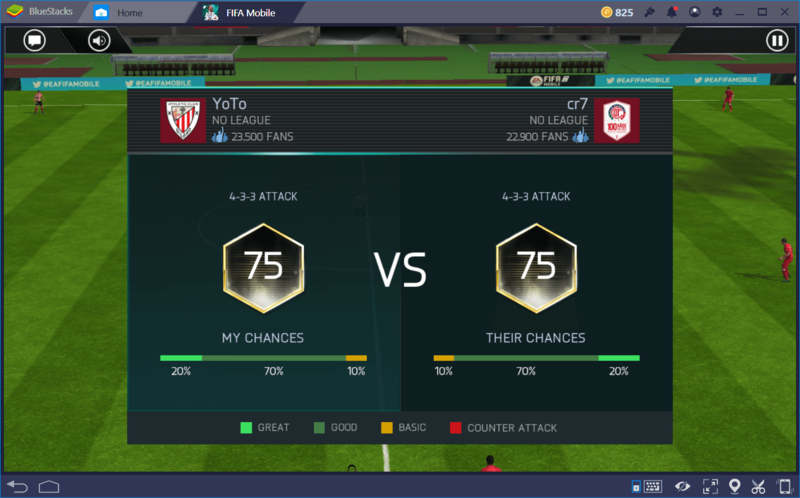 Attack Mode: The iconic match formats of FIFA Mobile. As explained above, these matches are fast-paced, hectic, and end very quickly. Matches are asynchronous between both players, and consist of turns that, depending on how their OVR match up, could consist of defending, counterattacking, attacking, or from any type of stopped-ball situations such as free kicks, corner kicks, throw-ins, and penalty shots. 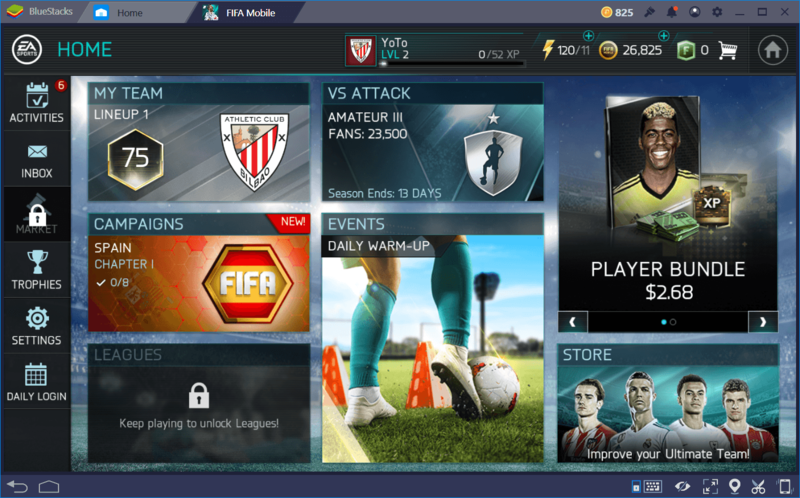 The core gameplay of FIFA Mobile is split into four different game modes, besides Vs. Attack Mode and Events, which we already mentioned above. Leagues: This is the main way to interact with other players in FIFA Mobile. By joining a league, you can interact in classic bracket-style tournaments and challenge other leagues to come out on top, to the envy of all your friends, family, and opponents all over the world, not to mention the potential rewards you can score for doing well in leagues. In order to unlock this mode, you must first attain level 5. You can get XP by completing events or playing in Attack Mode, regardless of winning or losing. 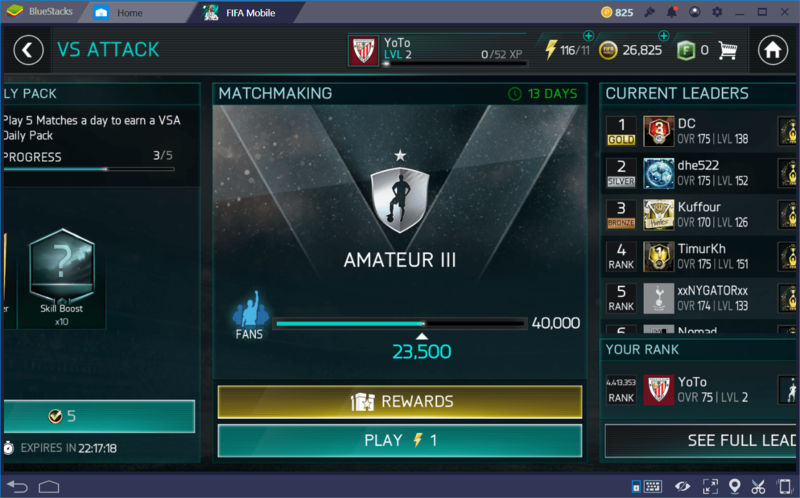 Season: While there is no formal career mode in FIFA Mobile, unlike its console counterparts, players can participate in Seasons where they can play in any of the 30 leagues in the game. These matches are a bit longer, lasting about 5 to 6 minutes, and are somewhat more serious in terms of competition. In this mode, people are always looking to rise to the top. In this sense, only those that are most committed to becoming the best will compete here. If you enjoy playing lighthearted, casual matches, then Vs. Attack Mode might be better suited to your preferences. This is the feature that started it all, which helped FIFA Mobile to break away from its console progenitors. Building your squad in this game is performed via cards, which represent the players. You may obtain these cards through various means. The first and easiest way to obtain new players is by purchasing and opening packs in the store. These packs usually contain several players of varying quality, depending on the type of pack you buy. The pack themselves can be paid for with points, or coins, though the best can only be purchased with the former, which means that you’ll have to pay real money for them. The good thing about packs is that they’re always changing depending on events that transpire in the real world. If an unknown player suddenly makes his way to the first division and begins making a name for himself there, you can bet that he’ll be commemorated in FIFA Mobile shortly after. Despite being tempted to simply go for the best players and building from there, you can also train your squad of underdogs by using skill boosts to increase their attributes. Similarly, you can “burn” unused player cards to give an XP boost to one of your squad members, so that he can become better at the trade, and go toe-to-toe against the titans of the industry. These skill boosts can be found in packs or purchased with coins from the market. The Market is a vast place where players from around the worlds peddle their goods. If you’re looking to turn a profit selling your own unwanted items, always try to buy low and sell high. What are you waiting for, its FIFA season again! Start playing Now! What better way to gear up for the World Cup?